Infoworld has published a great piece about the innovation of open source software, "Open source innovation on the cutting edge", which featured the peer-to-peer electronic cash system developed by Satoshi Nakamoto, Bitcoin. The Monetary Future also covered Bitcoin in a March 12, 2010 post. "Alternative currencies for e-commerce have been attempted many times, but never one quite like Bitcoin. Its creator, Satoshi Nakamoto, has dubbed it a 'cryptocurrency', because it relies on public/private key cryptography to facilitate electronic trading in a completely anonymous, secure, peer-to-peer fashion. Unlike past attempts at digital currency, there are no dedicated servers managing Bitcoin transactions and no central authority. All of the 'banking' functions are distributed across individual nodes on the Bitcoin peer-to-peer network. That presents an obvious problem. How to control inflation when there's no one to manage the supply of currency? The answer is that Bitcoin is backed by a kind of digital 'gold standard'. Bitcoins are created only when a user contributes something of material value: specifically, CPU cycles, which are used to solve calculations for grid computing projects. The more cycles you contribute, the fatter your Bitcoin wallet grows -- though there are throttles in place to prevent users with fast processors from generating wealth too quickly. By far the most efficient way to accumulate Bitcoins, however, is to exchange them with other users for goods and services, which might be anything from virtual items in an online game to a real-life used car. The advantage over existing payment systems is that because Bitcoin is distributed and decentralized, no one can veto your trades and there's no middleman to skim transaction fees. Users don't even need to disclose their real-life identities to complete Bitcoin transactions. In that sense, it's not just the Bitcoin software that's open source -- so is the currency." 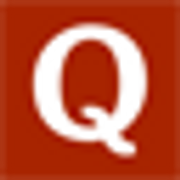 Michael S. Rozeff, on May 24, 2010, published part eleven of his brilliant story on America’s decline into unconstitutional money, entitled "The U.S. Constitution and Money". Rozeff's mission is to summarize one of my favorite monetary books of all time, Edwin Vieira’s Pieces of Eight: The Monetary Powers and Disabilities of the United States Constitution. Part eleven of the series is on federal reserve notes and Rozeff states, "This article begins with the story of the removal of silver from the money system between 1933 and 1968. It goes on to the partial reintroduction of silver and gold in the 1970s. I then survey many court cases from 1968 onwards that pitted the courts, who favored FRNs, against gold and silver advocates. These battles put a number of constitutional issues on display. They do not reveal a flattering portrait of American judges and courts at work, to say the least. Besides monetary and constitutional ignorance and error, we see bias, stonewalling, evasions, inapposite citations, slipshod thinking, and worse." The U.S. Constitution and Money, Part 1 and Part 2, can be found here. The U.S. Constitution and Money, Part 5, can be found here. The U.S. Constitution and Money, Part 6, can be found here. The U.S. Constitution and Money, Part 7, can be found here. The U.S. Constitution and Money, Part 8, can be found here. The U.S. Constitution and Money, Part 9, can be found here. The U.S. Constitution and Money, Part 10, can be found here. The U.S. Constitution and Money, Part 12, can be found here. Exchange offices in the UK have stopped selling 500 euro banknotes because of their use by money launderers. Soca deputy director Ian Cruxton said 500 euros had become the currency of choice for gangs hiding their profits. The move means nobody will be able to buy the note in the UK - but travellers will be able to sell them if they enter the UK carrying them from abroad. There has been mounting international concern over the note, which is worth more than £400, and its use by criminals or tax evaders. Soca says that an eight-month analysis of movements of the note in the UK revealed that it was almost exclusively used by money launderers shifting cash for major crime gangs. The British trade in the notes is thought to be worth some 500 million euros - but less than 10% of them are bought by legitimate tourists and business travellers. Financial crime investigators concluded that there was no credible or legitimate use for the note in the UK. Instead, gangs are reportedly shifting massive sums of sterling, typically from drug dealing, through "front" exchange businesses. Mark Herpel of Digital Gold Currency Magazine has completed his interview of gBullion, a new digital currency issuer that burst onto the scene in March 2010. Christine Thompson, PR and Marketing Communications Manager, answers the questions in this DGC exclusive and reveals important jurisdictional considerations and physical server locations of the gBullion system. George Selgin has published an excellent piece in The Independent Review (volume 14, number 4, Spring 2010) entitled "Central Banks as Sources of Financial Instability". Selgin is a senior fellow at the Cato Institute, professor of economics at the University of Georgia, and the author of the Independent Institute book Good Money: Birmingham Button Makers, the Royal Mint, and the Beginnings of Modern Coinage, 1775–1821. "The present financial crisis has set in bold relief the Jekyll and Hyde nature of contemporary central banks. It has made apparent both our utter dependence on such banks as instruments for assuring the continuous flow of credit in the aftermath of a financial bust and the same institutions’ capacity to fuel the financial booms that make severe busts possible in the first place." "Yet theoretical treatments of central banking place almost exclusive emphasis on its stabilizing capacity—that is, on central banks’ role in managing the growth of national monetary aggregates and in supplying last-resort loans to troubled financial (and sometimes nonfinancial) firms in times of financial distress." "I propose to challenge this conventional treatment of central banking by arguing that central banks are fundamentally destabilizing—that financial systems are more unstable with them than they would be without them. To make this argument, I must delve into the history of central banking and explain both why governments favored the establishment of destabilizing institutions in the first place and why there is the modern tendency to regard central banks as sources of financial stability. I hope to show that the modern view of central banks as sources of monetary stability is in essence a historical myth." Meet Sylvain Falardeau. He operates the digital gold exchange service xGold.ca and the DGC payment gateway Money Proxy. 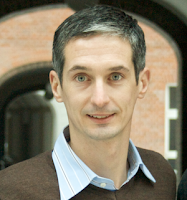 Sylvain has in the past few years created innovative software for the integration of digital gold systems into everyday life. He markets and advertises online and offline. His local talents in Canada far exceed the marketing of any other agent I know in Canada. Even his business card is a scratch off free sample of digital gold. 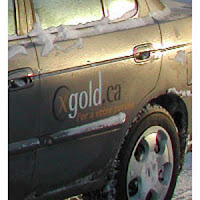 His web site xGold.ca flawlessly integrates Canadian online banking and digital gold exchange. You can buy as little as $10 in gold for just a tiny fee. It's always a pleasure to discuss business with Sylvain. Here is my interview. (Q) xGold.ca is an exchange provider for digital gold currency. There are now some popular e-currencies like Liberty Reserve which are not backed by gold. Have you considered exchanging for non-gold backed digital money? xgold.ca is really about gold currencies. We do not expect to add any non-gold backed currencies. We are thinking to add c-gold in the coming months. (Q) What is the most popular service that you provide to users? In the last three years since your business opened, what size growth have you seen in daily orders? Gold to Bank is our most popular service. We now process 350% more grams with Gold to Bank transactions than in the first months of our opening. Our Bank to Gold service rose by 285% during the same period. In proportion, we have nearly twice Gold to Bank transactions than Bank to Gold. We are clearly buying more than selling. (Q) What is your rate today on e-gold exchanges? Does that change daily? We have a 9.5% fee for Gold to Bank with e-gold. We monitor the market and our cash reserve then adjust the fees accordingly. (Q) What is your goal in operating this DGC business? What would your mission statement say? "Gold at your fingertips" really describe our service. After the first account authentication and authorization, buying gold is as easy as normal online banking. No wire transfers, money orders or Western Union. Our goal was to make it easy for anyone to start buying gold. People normally think they need a lot of money to start. And with other exchange agent, you also have to get a money order or have to worry about fees (basic fees in Canada for wire transfers are 15-30$ + the time to get to the bank if you do not have the online web interface). The minimum amount for a Bank to Gold transfer is 10$. So even a student can purchase 10$ of gold with his paycheck every two weeks if he wants. It is basically, gold for everyone. When we started the project, we also tried to differentiate ourselves from other exchange agents. When we began in the field, we purchased gold from other well established agents. We sent wires transfers, they paid us when it cleared in their bank accounts. It makes it difficult to profit from an opportunity when the exchange rate of gold is low. In a couple of days, the gold may have risen quickly and you have lost a deal. At xgold.ca, all transactions are quoted at the time you approve the transaction. You know the amount in gold or dollars you will receive in your account: no surprise. This is really convenient for buyers and sellers. (Q) Your service offers a direct online banking connection for customers. Is that only Canadian bank accounts? Yes, we only deal with Canadian bank accounts. We aim to provide integration between the banking system and gold currencies instead of simply buying and selling gold. Our customers do not have to deal with wire transfers or money orders. They login, click "Bank to Gold", enter the amount, confirm the transaction and it's done. After the transaction clears, they receive the gold in their account. (Q) How is your business, the Money Proxy http://www.moneyproxy.com coming along? The system is fully operational but lacks integration with products available on the market. Our clients do not want to develop custom solutions when they implement a payment system. They want their cart software to directly support your service. Money Proxy was added to AEC, a Joomla! plugin to manage subscriptions. We will add direct support of our service in other products, like Virtuemart, in the coming months. (Q) How does the Money Proxy work? How easy is it for developers to implement the Money Proxy into their web site or shopping cart? It is a multi-currencies payment gateway. It allows merchants to offer many payment options to their clients without having to open and manage multiple accounts and systems. We provide an automatic exchange to gold, independent of the payment option used by the client. Every day, your merchant account, denominated in gold grams, is withdrawn to your e-gold or Pecunix account automatically. We provide a documentation for developers to integrate Money Proxy with their website. It is really similar to e-gold or Pecunix shopping cart interface. We also provide an interface in your merchant account to help you test your "callback" script (it is the script receiving the secure payment notifications). (Q) If a exchange agent or web site owner wants to incorporate some of your software into their business, do you offer such integration and how would they go about contacting you regarding your applications such as Money Proxy? Our experience in software development allows us to build custom solutions. People interested can simply get to http://www.moneyproxy.com/contact-us We will be happy to evaluate their propositions. (Q) Do you ever see a time when DGC business will surpass credit cards for retail online purchases? It would be fun to see, but, realistically, no. And this is not necessary for an alternate payment systems to succeed. I think what they need now is simply more merchants! (Q) For enterprising DGC people in Canada, is there an opportunity to partner with your business and expand? We do not have affiliates with xgold.ca yet. With Money Proxy, you can get a percentage of the fees we collect from the merchants you referred to us. We are open to business propositions or ideas. (Q) You've told me before that xGold.ca is a Pecunix PREO, what does that mean and why are you one? Being a PREO does that help your customers? The Pecunix PREO (Preferred Retail Exchange Organisation) are listed on www.pecunix.com as independant exchange agents. We decided to apply to let people know we exist and to be known by Pecunix administrators as legitimate agents. It helped our reputation, like being a member of the GDCA, to be recognized as trustworthy. (Q) As a Canadian user, if I sell Pecunix to you today, when will the funds post in my account? For Gold to Bank, it is two business days. Our system will calculate the exact deposit date, taking into account banks holidays and week-ends. So before accepting the transaction, you know when you will receive your dollars. (Q) Do you offer the lowest rates for Canadian buyers? I think our rates are really good, considering the fact that you have the control *when* you buy/sell and eliminate the risks of rapid gold exchange rate changes. (Q) What is the absolute smallest CAD purchase I can make using your service? (Q) I know you offer a DGC bill pay service, can Canadian customers. This is a first of its kind for DGC users in Canada? Yes, we offered this service but it is temporarily out of service now (scheduled to resume this summer). It was used by a minority but was more a marketing strategy. When we introduced people to gold currencies, they asked "but, what can I do with this gold in my account?". It was interesting to let them know they can pay their electricity/phone/cable/etc. bills like they do with their online banking interface. We have 2300+ utility companies in our database. It is more than the number of merchants accepting gold currencies right now! (Q) As a Canadian bank account holder, what do I need to provide in order to begin exchanges through xGold.ca? For Gold to Bank transactions, you enter your bank account number online and you can make your transaction right away. For Bank to Gold, you have to fill and send a banking authorization form by mail. A voided check should be included with the form. After verification, we activate your account with a limited amount (300$/month). If you need larger amounts, we ask for other authentication documents (passport, driver license, utility bills). (Q) I've seen that great sign you have for your car door, I think that is excellent advertising and peeks people's interest. What other advertising have you done and do you target specific groups? We have done radio promotions in Quebec. We offered a cinema ticket for 1$ (to be paid in gold). We also have a "scratch" business cards acting like a voucher. You simply open a gold account and we deposit a quantity of gold instantly. It helps to get people started with at least something in their account. There is also the spudz which is very popular. It is a microfiber cloth for lens and computers. Even people not really interested in gold like it and it gives us great visibility. (Q) When I interviewed you about one year ago, regarding the percentage of exchanges which were e-gold or Pecunix you stated that, "...90% of our business with e-gold.". With all that has happened in the last year with e-gold, how is your business split today between Pecunix and e-gold? Now, we have people buying Pecunix and selling e-gold. Not really surprising with the current e-gold market. (Q) Do you still have faith that e-gold will survive the onslaught of problems the government has created by their attacks? I hope e-gold will prevail. I am not aware of all the details of the case but one thing is sure: the current situation of high out exchange rates make it less appealing to new users. (Q) In a previous interview with me you stated that, "We out exchange with Omnipay." Do you still use OmniPay and has there been any interruption in that service? Omnipay closed his service last year. It was supposed to be temporary because of a relocation to Africa but they did not resume their service yet. We now use other e-gold exchangers for out exchange when necessary. (Q) I assume you have seen the recent high rates some agents are charging for e-gold exchanges. Will you be able to continue providing e-gold services if the high rates persist? If it continues for too long, we may drop e-gold completely until the case is solved with the US DoJ. (Q) Webmoney Transfer is automated to receive payment vouchers from what I often refer to as 'cash to digital services' around the globe like Ukash, paysafecard, cashU and ever paymer. Customers pay cash locally, receive the voucher, log in and instantly fund their WM accounts with the voucher numbers. Would you consider automating your business to include global payments from sources like these? We thought about implementing this option when we began working on xgold.ca. Our business cards are an example of vouchers you can cash instantly. But, to be effective, you need a good number of places where you can purchase these vouchers. We may expand our payment options in the future with technologies from other companies but will have to be sure their terms of service allow the purchase of digital gold currencies. No, they cannot do it directly. We did not want to enter this market because other exchange agents did it. We wanted to be different. But this is not definitive, we may implement it in the future. (Q) A year ago, the price of gold was about $650, I've always been curious to ask agents, have you made more profit on the rise in recent gold prices or your customer exchange fees? We always make more profit from the rise in the price of gold than with our fees. I think you cannot separate the fees and the money you gain/loose with the exchange rate of gold in the long run. If we only made 3% profit on transactions, we would not be in this business anymore. (Q) How much gold do you have on you right now? When I meet new people, I normally have an once of gold and business cards loaded with grams of gold. They are always amazed: what? 900$ for this small thing! The most surprised are the one I first met a couple of years ago. They ask "was it not at 500$ the last time we've met?". And they are the one not buying gold or even exchanging their electronic business cards I gave them. Go figure. I'd like to thank Sylvain for answering my questions and sharing his industry insight with us. BEIJING -- China's third-party payment industry has been around for more than a decade, but nearly half of that period has been shadowed by unfinished plans to regulate the sector. Most of today's more than 300 players are private enterprises, and collectively, they deal with tens of millions businesses and individuals every year. Last year, more than 580 billion yuan ($84.9 billion) in transfers were recorded. These companies also provide payment mediation and settlement services. Despite the sector's size and growth, however, the government has delayed finalizing formal regulations. Until now, the central bank has done little more than request public comments on draft payment and settlement regulations, as well as electronic payment guidelines, released way back in 2005. The page may turn soon, but that hasn't settled concern that smaller companies may lose out to industry giants. A source close to central bank authorities told Caixin that final regulations may be released before July. Caixin also learned a central bank payment system linking many of the nation's big commercial banks -- but perhaps not third-party payment firms -- will come online in August. Meanwhile, payment companies across the country are waiting to see how the changes may affect their bottom lines. Major participants such as Alipay hope the measures formally validate their profitable businesses. But smaller competitors worry about being locked out by high entry barriers, and finding their huge investments going to waste. Third-party payment companies have grown quickly to satisfy the cash-flow needs of the e-commerce industry. They generally function as money gateways and "transfer stations" between merchants and banks. The model's earliest domestic practitioner was the semi-official PayEase, formally called the Capital E-commerce Project. It was jointly launched in November 1998 by the Beijing Municipal Government, Bank of China, the State Internal Trade Bureau and central ministries, including the Ministry of Information Industry. An independent third-party payment company called Central iPS was launched two years later in Shanghai. That was followed by a March 2002 agreement by the State Council, with central bank approval, to create Union Pay and its ChinaPay Services Ltd.
PayEase, iPS and ChinaPay followed the same basic business model by charging merchants for access to online money transfers. But the model was shaken when basically no-fee payment companies led by Alipay and Tenpay -- a service of online-game and messaging provider Tencent -- joined the race. By doing business with platforms such as Tencent and online-shopping giant Taobao, payment companies evolved into "credit intermediaries." Going through a third party effectively resolved trust issues inherent in online transactions. And due to their interdependence, the online-shopping and third-party payment businesses developed in tandem. Transaction levels started to swell five years ago, doubling in a year to more to 16.3 billion yuan in total market value in 2005 and building to an astounding 581 billion yuan last year. Analysys International forecasts online payment will continue to soar, reaching 886 billion yuan this year, 1.25 trillion yuan in 2011 and 1.67 trillion yuan in 2012. But the industry is practically operating in a regulatory vacuum. The government rewrote its 2005 regulatory proposal in 2007, and sources told Caixin that proposal was revised last year. The latest version includes rules for market access and risk control. "The current copy of the regulation is completely different compared to the 2005 draft," said a senior industry source. "Because the industry is so new and growing quickly, regulators have to keep up." Companies have long been anxious about these government delays, especially when it comes to issues surrounding business licenses. Some companies thought the central bank was rolling with a licensing process a year ago, when it started collecting records from third-party payment companies and convened a National Association for Payment Clearance meeting. But one source said only 130 of the nation's more than 300 payment firms submitted records for the process, which reflected "the central bank's effort to collect basic information from these third-party payment companies in terms of capital, business methods and profits." And that's as far as the process went. "In our communication process with the central bank, we expressed our hope for clarification on a few points: What can't be done, what can be done better, and what has been done wrong in the past and needs to be corrected," said Alipay Chief Executive Officer Peng Lei. "On these points, we hope for regulatory guidance." The impending arrival of the central bank's so-called Super Online Bank has thrown another variable into the mix. The "bank" is actually an Internet application system connecting online banks to the central bank's China National Advanced Payment System. "This is the equivalent of adding a safety valve," said a banking source. "Online banking services offered by various commercial banks will no longer individually connect to the central bank's core payment settlement system, but will instead connect through the Super Online Bank unified access point." The Monetary Future interviewed SponsorPay CEO Andreas Bodczek on May 13, 2010, shortly after Facebook announced their intention to become more aggressive with Facebook Credits, their proprietary virtual currency. SponsorPay is the European market leader in the field of virtual currency monetization for online games, social applications and social networks. Jon: Welcome to The Monetary Future, Andreas. How is the virtual currency and virtual currency platform business in Europe different than in the US? Andreas: Europe is a diverse market, it’s not even one, but many markets with different languages and mentalities, and there is a huge range in how well these markets are developed - if you compare for instance Eastern and Western European countries. This diversity is the biggest difference to the US and it’s also one of the biggest obstacles in entering the European market, whereas the US can be considered one great and already developed market. On the advertiser side, Europe is characterized by a very fragmented and local structure as well. For virtual currency platforms this means: moving closer to the users and having a unique approach for these different countries as well as knowing the specifics of the respective market and being well connected locally. Jon: What is the differentiating factor that SponsorPay provides to the marketplace? Andreas: No other platform is so consistent in its genuinely localized approach towards end-users (in the iFrame and the individual offers), publishers and advertisers (affiliates, ad networks & direct advertisers) including a direct contact to local counterparts. This is provided by a team of more than 30 people covering 15 languages. Also, SponsorPay is committed to fair and transparent offers since its inception and hence always avoided Scamville pitfalls. Jon: What do you see players asking for most in the marketplace that could change the direction of the virtual currency business? Andreas: We see a couple of trends that not only could but will seriously impact the direction of the virtual currency business. Security will become more and more important, provided by trusted advertising partners and technical measures to protect the users’ privacy. The players will also demand more value: good offers that are fun to do, useful and improving their gaming experience. Jon: What security features are built into your virtual currency platform and do you permit anonymous accounts? Andreas: As an offer-based monetization platform, SponsorPay works with IP tracking, real-time analysis of transactions, velocity controls and various heuristics. We usually do not have personal information about the user other than his user ID and the IP address he is using. Jon: With Facebook Credits on the scene now, how can SponsorPay respond and prosper in this new environment? Andreas: Facebook credits will help to make the use of virtual currency even more widely accepted and we appreciate this development - one uniform currency across multiple applications is certainly a benefit for the end-user. On the other hand, it poses a huge challenge for Facebook-centric publishers who have developed business models and entire ecosystems around their own virtual currencies. Facebook and their publishers will have to bridge this gap. Since SponsorPay has the broadest portfolio of international advertisers and continues to expand this we should profit either way. Jon: Will virtual currencies ever become portable outside of the gaming environment? Andreas: I very much believe so. The gaming environment was a really effective booster to this concept, but virtual currency can be much more. It is becoming a monetization strategy in other fields, like dating, news, videos and basically everywhere where premium content is provided. Jon: Is a virtual currency that is convertible to the outside "real world" an advantage? Do you anticipate entering the market for freely-convertible currencies in MMOs and virtual worlds? Andreas: Virtual currency never existed outside the 'real world' – it’s connected to it. Just look at China, where the government prohibited virtual money to buy real world goods to limit the negative impact of virtual money on the real currency. Virtual currency is a powerful concept for the monetization of digital content, certainly, there will be cases where the demarcation between real and virtual world gets blurred. However, for the foreseeable future I expect virtual currencies to be somewhat related to and dependent on the internet. Jon: What do you encounter on the regulatory side with a virtual currency that is exchangeable between persons and then convertible to outside "real world"? Andreas: Fraud is a huge problem: With currency, incentives to trick the system are becoming even stronger. From an economic perspective, large virtual economies can impact real economies if the amount of ecosystem is just large enough, as it happened in China. Jon: What new products and/or features are forthcoming from SponsorPay? Andreas: We have a few things coming up. The next step will be a direct payment option to make SponsorPay a one-stop shop for obtaining virtual currency in Europe, either by taking ad offers or transferring money to buy the currency directly. Jon: How do you see the virtual currency platform business evolving in the future? Andreas: The possibilities of the virtual currency platforms are just beginning to be explored. More and more advertisers begin to see that, and so the quality of the overall experience is rising. This means that the user can get better offers and the segment will be even more precisely targeted. Michael S. Rozeff, on May 18, 2010, published part ten of his brilliant story on America’s decline into unconstitutional money, entitled "The U.S. Constitution and Money". Part ten of the series is on the gold seizure court cases and Rozeff states, "Through lawyer tricks explained here, the Supreme Court refused to hear the challenges to gold seizure made by Frederick Campbell, but we review his lower court case. The Court did hear the Gold Clause Cases. We inspect how low the Court sank in rubber-stamping the unconstitutional actions of the other branches. Vieira believes that the Constitution’s enumerated powers on money make for a sound hard-money system in which banking can be made to play a proper role. In such a system, the government does not attempt to or in fact control the economy. His view is that it has taken considerable unconstitutional action and interpretation to create the unsound fiat-money system and government control of the economy that we now have and that he thinks is headed for disaster. His book documents the constitutional and monetary history by which the Constitution has been overcome in the monetary sphere. The removal of gold was a crucial step in this process that Vieira terms “the declension of the monetary system from bimetallism to fiat currency." The U.S. Constitution and Money, Part 11, can be found here. Michael S. Rozeff, on May 12, 2010, published part nine of his brilliant story on America’s decline into unconstitutional money, entitled "The U.S. Constitution and Money". Part nine of the series is on Roosevelt’s gold seizure in 1933 and Rozeff states, "This 39-page article takes you through every important presidential and legislative action by which the government seized the people’s gold for a fraction of its market value. Each unconstitutional aspect is laid bare. The financial side of the story and excerpts from the Congressional debates are also recorded. Good case study in how low Congress can sink, not to mention FDR. Next in the series will be the court cases on the gold clause abrogation and the Campbell cases." J.S. Kim graduated from the University of Pennsylvania in 1990 (in Neurobiology) and earned a double master degrees from the University of Texas at Austin in 1997 (in Business Administration and Public Policy). Subsequently, he worked within the Private Wealth Management division of Wells Fargo and later on at Smith Barney. Mr. Kim strongly advocates the abolition of central banks and the return to a gold or gold & silver backed monetary system. His investment strategies don’t rely on fundamental or technical analysis as primary screens to select stocks but instead utilize the strength of corporate-government-banking relationships to predict share prize appreciation. Away from the investment world, he is an avid martial artist and splits his time between the U.S. and Asia. Mr. Kim, in your point of view our current fiat money system does not only belong to the root causes for the financial/economic crisis we’re going through, but also that it is fraudulent per se. Why so? Well, the reason I believe it’s fraudulent is because our current money system is a system that creates money as debt. If we had no debts in our global monetary system, no money could exist. That’s a fairly ludicrous concept if you think about it. It’s also a system in which central banks are allowed to print money – and when I say “print money” I use this term very loosely, because the predominant amount of money today is created as digital debits and credits. So when we think of fiat money, most people think of paper money, but in reality most paper money doesn’t even exist. It’s just digital credits credited from central bank to regional banks to commercial banks and then to the various creditors and debtors in the system. So there’s virtually zero labour that’s being performed and banks charge consumers interest on this absence of labour. Centuries ago, we used to call that usury and fraud. Today we just accept it as that’s the way the system works. Do you believe that a gold standard could have worked given the real economic growth? I don’t see why not. The arguments against a gold standard are mostly propelled by bankers that want the status quo and fraud to continue. There’s nothing about a gold standard that would hold back economic growth. In my opinion a gold standard would keep money honest. If we look at some of the most prominent central bankers in the past, for example, Alan Greenspan – he said a gold standard would set interest rates in the economy on its own at a proper rate and regulate economic growth to contribute to steady growth without the boom-and-bust cycles that we experience every few years. I definitely believe that it could work. Is actual the “fraudulent monetary system” the problem or rather the “fraudulent money men”? That’s a very interesting question and I’ve heard arguments on both sides. There are people who say it doesn’t matter if money is sound or unsound if criminals run the system as they do today. I disagree with that. Under a sound monetary system, people will ultimately control the value of money. With the unsound system, that we have today, “the money masters”, “the money men” or whatever you want to call them, they control the value of money. For example if people look to Bretton Woods and say that it is an example of the gold standard not working, that’s simply not true. Under Bretton Woods, a true gold standard never existed. That’s what happened: the bankers were basically lying to the people about maintaining a true gold standard. France called the US bankers’ bluff in not maintaining the gold standard and that’s why it fell apart. So this is an instance where we had a relatively sound monetary system and even though the bankers were committing fraudulent practices under this system, the people ultimately were still able to control the value of money. That’s why President Nixon had to close the gold window – because the people were forcing the bankers to lose money when they committed fraud. And that’s why the financial oligarchs do not want a sound monetary system because they lose control over the value of money. Why do you think that central banks do “more harm than good”? Because they prevent free-markets from operating. What they do is that they set interest rates at either artificially too high or artificially too low rates, to create booms or busts. In reality, a boom is not really a boom, but it’s a distortion of free-market prices above and beyond what the free-market would set. And then they create the busts which are not really busts, but just collapses of distorted prices returning to their free-market equilibrium. Central banks create these booms and busts in part because commercial banks profit from them. The Goldman Sachses, the JP Morgans of the world, they make tremendous amounts of money on the upside and downside of the boom-bust cycles they help create. That’s why I say Central Banks do more harm than good. If they would just get out of the way and let free-markets operate, then the free-markets would set the interest rates. We don’t need central banks. But the reason why the majority of people think that the absence of Central Banks would lead to chaos is because we’ve been taught this lie by bankers for hundreds of years. Did economies not function before we had Central Banks? Of course they did, and they would function with more stability without them. What was/is the Federal Reserve’s contribution to this crisis? I think everything, although of course the media and the Federal Reserve always state that they did not contribute to this crisis at all. But I think that the Federal Reserve – not just by itself, though it is the most powerful central bank of the world – but I would say that central banks contributed to this crisis. In America in particular, the Federal Reserve helped to destroy the Glass-Steagall regulations. It was Alan Greenspan, who catered to the agents of JPMorgan, Goldman Sachs, Citigroup, and the behemoths of the banking world and allowed the creation of all kinds of financial derivative products that were not well understood. In the process, he destroyed almost all of the regulations that protected the consumer. And in fact, Citigroup, which was the merger of the Traveler Group and Citicorp, was created before the entity was even legal. If you investigate how that happened, you will find out that Citigroup CEO Sandy Weill basically had access to a direct line to Alan Greenspan and he was assured that legislation would pass that would make Citigroup legal even as Sandy formed this new company during a time it was not. The Federal Reserve always says: “We protect the people.” But the whole creation of Citigroup is much more an act of Fascism than that of a Democracy or a Republic. Are you supporting the House Resolution 1207 Federal Reserve Transparency Act of 2009? One hundred per cent I support it, but I have extreme reservations of the potency of the final iteration of the bill if and when it finally passes. The bill still has to pass through the Senate as Senate bill 64, and Senate is much more closely aligned with bankers than the House of Representatives. It’s in the Senate where a lot of it will be destroyed. I would hope that it get passed in its original format but I have grave reservations that it will. Hi. Could you please introduce yourself to the readers of Realforum and tell us about what your personal involvement with eurogoldcash is? Maybe you could also introduce us to some of the senior staff members that are working for you. Who are they and what do they do? Not counting our team of programmers, EuroGoldCash has several full-time executive-level employees including myself. We share responsibility for the efficient and secure performance of the EuroGoldCash system. We also have support staff, full-time and part-time, that handle customer service inquiries, lost password retrieval, and other issues. Can you also give us some background information on EGC? Just the basics, like how long are you in operation? EGC is in operation since 2008, but EGC management's background comes from the digital currency industry since its inception in the old days of e-gold (1999). Our management has more experience in the market than any other system's management except e-gold. We are registered in Panama, but our main headquarters are in Europe. We started EGC in order to fill a void in the market for private financial transactions in a secure, honest, and multi-jurisdictional venue. Most digital currencies block accounts or do other things with their system to restrain the free flow of money. Our founders believe that the transfer of value (money, gold, other metals) should be free, and flow easily throughout the internet. As for our popularity, it is increasing steadily. Within the first year of EGC's inception, EGC already had over $1 million of value in trust for our clients. For client privacy reasons, we do not reveal the number of accounts. We can only say that they are growing exponentially. Would EGC consider some form of chargeback system in the event of a scam? that a scam exists? Who will be the judge and jury? Which officer should we appoint to decide who's account is frozen and who's isn't? With thousands or even millions of daily transactions, it is impossible to decide, effectively, what is fraud and what is not. A hit-or-miss policy is also not acceptable because we believe that no innocent account should ever be blocked for no good reason. Therefore we rely on outside courts to investigate fraud. We respond to correctly filed subpoenas from a court of legitimate jurisdiction. For more information about this, it is best for users to review our terms of service. If more payment processors did this maybe scammers would think twice about their activities. Is it possible to freeze an account and issue refunds? Unlike other systems, we follow our terms of service. We may freeze an account, but only if we receive a properly executed subpoena. We have other anti-scam and anti-fraud measures that help our users, but they are proprietary and we cannot reveal them. I am a eurogoldcash member and appreciate their services. I have noticed that EGC is not a favorite of a lot of HYIP's. Any idea why and what could be done to improve EGC status? I am not sure that having EGC become a "favorite of a lot of HYIPs" will improve its status. We allow all users to use our system, including HYIPs (which we consider gambling businesses), but we are not directly reaching out to HYIPs (like other competing systems are doing). Instead, we are concentrating on acquiring mainstream online businesses such as casinos, ForEx, hosting, and others, and we are successful with this strategy. From our experience, we know that more HYIP businesses will be using our system whether we actively reach out to them or not. One thing we learned about HYIPs is that they know a good thing when they see it, and they love secure, private financial transactions. That is what EGC is all about. PFGBEST is larger than any other ForEx broker in the digital currency industry, and they have chosen EuroGoldCash.com, exclusively, to provide their users with the ability to fund their PFGBEST accounts online. We are adding several legitimate, medium to large clients every week including the popular CaptainsGames.com casino, which is adding EGC to their accepted currencies shortly. Who do you see as your main competitors? AlertPay or StrictPay or LR? the cheapest currency to buy for users. We know that the choice is clear. Most users will realize it as well sooner or later. What do you think of other online processors in general? How trustworthy would you find them and what makes EGC so much better? I think one should go to www.gdcaonline.org to check out any trust issues with digital currencies. Even if we did have strong opinions about the trustworthiness of a particular digital currency, it would be unprofessional for us to voice them. Speaking only on behalf of EGC, I can say that we are built on trust, privacy, and security. There is no better system out there than EGC. The recent emergence and relative (and growing) popularity of GlobalDigitalPay would seem to indicate that this is still very much a thriving and lucrative business as well as highly competitive. Has this affected your own business in any noticeable way? How are you planning to keep EGC competitive in the future? Will there be significant changes made in the company? clients. We are not looking for a bunch of new accounts to be opened and then 95% of them to be closed or abandoned within a month or two after an HYIP closes. This is not a good foundation for a long-term strategy. We do not turn away HYIPs (or anyone else from using EGC), and we do have many HYIPs adding EGC already, but we are not chasing after them. By H. Paul Leyva, J.D., C.AM.C. NEW YORK, NY—Brittany has never filed an income tax return to report her $200,000.00+ income as a high-class call girl. To continue to hide her illegal profits from the IRS and law enforcement, Brittany added an m-payment function to her mobile phones and PDA. With the m-payment feature in place, she now lives virtually cash-free. For example, Brittany asks her clients for the “e,” (street slang for electronic mobile payment, or e-pay). “E” is a text message-like transfer of funds from a client’s mobile phone m-account to the m-account contained in Brittany’s phone. After hours, Brittany’s Blackberry now functions as a debit card for all of her spending needs: shopping at Nordstrom’s to buy that designer purse, sending a car payment for her new Mercedes-Benz via text message, and clubbing all night with her friends. Today, Brittany earned $800 for her services. Before m-payment technology, she had no other choice but to make suspicious daily cash deposits into her bank accounts. With the advent of m-payment, she no longer worries about anyone tracing her bank activity. As a safety precaution, Brittany destroys the SIM memory cards from her phones and PDA devices at the end of each week and replaces them with new ones. As a result, if she ever gets arrested for her activities, no digital evidence of her occupation, income, or lifestyle remains. LOGAN SQUARE, CHICAGO, IL—Alex, an accountant by day and drug user by night, uses his PC to transfer $400 from his personal checking account to his mobile phone’s m-payment account. Alex is in need of Ecstasy from his dealer. Per their standing arrangement, buyer and supplier meet at the local café on the corner of California Avenue and Logan Square Boulevard. As usual, the dealer has cleverly hidden the Ecstasy in an empty cup of coffee, and Alex transfers the “e” via text message to the supplier’s mobile phone. When the transaction is complete, Alex slips away to plan his evening. As the dealer enjoys his latte, he uses his mobile phone to text the funds to a bank in the Cayman Islands, where the deposit will easily get lost in the multitude of other small value transfers. Once the transaction is complete, the supplier gasps a sigh of relief because he knows he is safe. If a rival gang member tries to steal the cash, he will find no trace of the money. Similarly, if the police tried to apprehend him, by pressing the “Delete Transaction History” function on his cell phone—evidence-erasing software that he downloaded from the net—all incriminating evidence is gone. With no evidence of his crime, the authorities would be forced to let the dealer go. NAIROBI, KENYA—International Press: August 7th. On the anniversary of the suicide bomb that killed more than two hundred people at the U.S. Embassy in Nairobi, yet another suicide bomber kills fifty-eight people near the rebuilt U.S. Embassy in Kenya. At this point, the authorities are unable to determine the identity of the terrorist or group responsible for this attack, but many believe it to be the work of Al Qaeda. The FBI officer-in-charge and top Kenyan Security officials admit that they found the remains of a pre-paid m-payment mobile phone within the wreckage; however, since these devices are unregistered, the phone could have been purchased anywhere and by anyone. In Kenya as well as in many other parts of Africa, the use of mobile phones and m-payment technology as miniature banking devices is commonplace. Critics have reiterated that m-payment technology makes it easier for terrorists to send and receive transfers of funds via text message transmission. These scenarios exemplify the warnings issued in the March 2008 International Narcotics Control Strategy Report (INCSR) entitled “Mobile Payments: A Growing Threat,” which describes the potential exploitation of m-payment technology by money launderers, criminals, and terrorists. What is m-payment? How does it work? Does it already exist in other countries? How can money launderers, criminals, and terrorists exploit this technology to hide their illicit activities? Most importantly, what steps can the United States and other countries take to curtail the potential abuses of m-payment? M-payment (mobile payment) is synonymous with the terms m-commerce, m-accounts, m-wallet, m-banking, e-money, or digital cash. For the sake of this article, the more widely accepted term “m-payment” will be used. The best way to envision this relatively exciting technology is to imagine a time in which your mobile phone or PDA will act like a wallet. Furthermore, it will be a wallet that not only allows you to withdraw money from it to pay for goods and services, but also enables you to deposit money into it—thus making this monetary device even more flexible and useful than a credit card. The widespread adoption of m-payment could eliminate the need to carry cash, visit an ATM machine, send wire transfers, or even use a credit card. Currently there are two platforms that facilitate the use of m-payment. The first enables your mobile phone to link to m-accounts, such as your bank account, credit card, internet payment service, or other financial institution. The second makes it possible for mobile phone companies to act as banks and allows customers to deposit and withdraw funds using their mobile accounts. Although this service is not yet available in the United States, m-payment has already enjoyed acceptance and success in countries such as Japan, Korea, and the Philippines. M-payment technology is also beginning to thrive in South Africa, the Democratic Republic of the Congo, and Kenya. At present no special hardware is required to utilize m-payment. A subscriber can surf the Web for an internet-based m-payment service and then download the necessary software onto almost any existing mobile phone. M-payment software uses existing text-messaging technology to send and receive funds, confirm payments and credits, and check balances. Imagine going to a McDonalds (or nearly any retailer) to buy lunch and then asking the cashier for an extra $50 (or more) in cash. For a small fee, the McDonalds cashier will not only charge a customer’s m-account for the hamburger, soda, and fries, but will also ring up the $50 in cash that he or she requested. Similar to debit cards, there is no need to locate an ATM Machine or pay high banking fees. Person to person (PTP) transfers are also possible. For example, friends, family, and private parties involved in business transactions can transfer funds to each other via their mobile phones. A mother can send her teenage daughter’s allowance via text message. Employers can text message wages to their employees’ mobile phones. After winning an auction on EBay, a buyer can text the payment to the seller. Or, an individual wanders into a garage sale only to find that beautiful antique he has been seeking, but he has no cash. Moreover, the seller does not accept credit cards. The solution is simple: the buyer text messages the payment directly to the seller’s mobile phone. The possibilities are endless. The World Bank estimates that global remittances (i.e. international wire transfers) exceed one quarter of a trillion dollars annually. Increasingly, in many areas, m-payments provide a new option to expatriates and “guest workers” that wish to send part of their wages home to support their families. In the United States, many migrant workers from Mexico and Central and South America use wire transfer services such as Western Union and Money Gram to send money to their relatives abroad. In 2005 alone, funds transferred to Mexico from the United States totaled more than $20 billion. Unfortunately these wire services come with high fees, and some of the recipient banks also charge fees for the transaction as well. Furthermore, in rural areas abroad many people do not have access to banks. 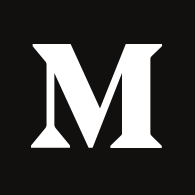 With m-payment technology, a migrant worker can literally text message the payment to his relative’s mobile phone, thus circumventing the exorbitant fees charged by wire transfer services and receiving banks. Another amazing feature of m-payment technology is that it allows a mobile phone to act as a virtual traveler’s check. Before leaving on a family vacation, a subscriber can deposit money into his mobile phone’s m-payment account then withdraw the funds as needed during the trip. Consumers will no longer need to purchase travelers checks or travel with significant amounts of cash. Beyond their use for text messaging to send and receive funds, mobile phones can also be placed in “contract-less” mode. To activate this feature, a special chip can be attached to or inserted into the phone. It is likely that future cell phones will come with this feature already built into it. When a consumer wishes to make a purchase, he or she can simply “swipe” a mobile phone over a cashier’s scanning device and complete the transaction. With the “swipe” or “touch and go” feature, no signature or additional data entry is necessary at the cash register. Low-income consumers or those with poor credit who would not be eligible for monthly phone contracts or credit cards can use pre-paid mobile phones to conduct m-payments. These individuals can load pre-paid cards holding various monetary denominations ($50, $100, $250, or more) onto a mobile phone to enable the device to be used as a virtual wallet. As in previous examples, friends and family can also transfer funds to the pre-paid phone via text message as well. Potential Displacement of ATMs, Wire Transfer Companies, and Credit Cards? As with m-payment accounts holders in other parts of the world, Americans will undoubtedly also embrace the convenience and cost savings of this virtual wallet. With the continued proliferation of m-payment technology, it may be argued that m-payment services could actually result in the death of ATM machines, wire transfer companies, and high interest rate credit card fees. This prediction is well-founded when one considers that the United States contains approximately 250 million mobile phone subscribers—a number equal to 82 percent of the population—and over three billion mobile phones are currently in use worldwide. In addition to these facts, The Wireless Association reported in its 2007 Wireless Industry Survey that consumers send almost one billion text messages each day worldwide. Even more compelling is the convenience offered by this service. Given this technology, customers no longer have to locate an ATM machine in order to withdraw money. Using a PC, they can transfer funds from their bank accounts directly to their mobile phone accounts. When a migrant worker needs to send money to his family abroad, he or she can merely speed-dial the funds directly from his mobile phone to a relative's phone. An individual will no longer need to drive to the local Western Union outlet to complete the transaction. In contrast to high interest credit cards, m-payment service providers will offer competitive rates, discounts, or other incentives to attract new customers. Finally, another cause for concern on the part of banks and wire transfer companies is the fact that mobile phones have already contributed to the demise of pay phones, cameras, and retail music stores. Other players that have already entered the m-payment market include Google’s G-Pay, Firehorn Holdings, LLC, mFoundry Inc, and Obopay, Inc. The largest provider is PayPal with more than 100 million Internet accounts worldwide. The dark side of m-payment, if the service remains unregulated, will enable money launderers, criminals, and terrorists to exploit this new technology. In specific, this new technology will undoubtedly facilitate smurfing. It is generally known that astute money launderers, criminals, and terrorists have always been willing to keep their financial transactions under $1,000 per day to avoid financial reporting requirements. One way to hide money is by using multiple “smurfs” or “runners” to make deposits, purchase money orders, traveler’s checks, or other transactions involving illicit or “dirty” money. Smurfing can be accomplished by spreading small denomination drug payments, or contributions to terrorist causes, across various remittance centers or multiple bank accounts. In essence, smurfing breaks down illegal proceeds into small amounts that can be moved with less risk of attracting the authorities’ attention. For instance, a drug dealer or terrorist can order ten different soldiers, or “smurfs,” to open ten different bank accounts, or conduct ten different financial transactions per day. After the accounts are open, the drug dealer or terrorist orders his smurfs to deposit amounts less than $999 per day—for example, $756 one day, $922 another day, and so on. By ensuring that the bank deposits, or other financial transactions, fall below the $1,000 threshold, they can avoid suspicion and prevent the triggering of financial reporting requirements. In this example, ten different smurfs with ten different bank accounts who deposit an average of $850 per day can launder $2.21 million annually. Although more sophisticated detection systems, increased government oversight, and heavier penalties have slowed down the practice of “smurfing” in recent years, this system remains a fundamental method for moving cash and cash equivalents. M-payment with digital value removes the fundamental element of money laundering: cash. In the future, money launderers, drug dealers, and other criminals will no longer demand cash for their products or services; instead, they will demand digital payment sent via text message. With digital value, multiple smurfs will no longer be needed to make suspicious cash deposits. Criminals will be able to bypass regulated banks and their financial reporting requirements and exchange dirty money for digital value in the form of stored value cards or mobile payment credits. Moreover, with digital value instead of cash, they can instantly send—with a touch of a cell phone keypad—their digital value across the country, around the world, or to secret offshore bank accounts. A single Digital Value Smurf (DVS) could open multiple m-payment accounts with multiple service providers, such as m-payment bank accounts, Internet payment accounts, and pre-paid mobile phones. Other avenues could include renting cell phones from others, or utilizing false identities to open additional accounts. The number of m-payment accounts that a single DVS could establish is unlimited. Thus, using the same example as above, a single DVS with merely ten different m-payment accounts could arguably launder the same amount of money that it would take ten different smurfs to accomplish. M-payment technology can facilitate tax evasion. Three billion people around the world own mobile phones, but only one billion possess bank accounts, according to the GSM Association. BearingPoint, a major management and technology consulting company, estimated the unbanked marketplace in the United States alone at $510 billion in 2006. The fundamental rule in small business accounting is that all financial transactions are conducted through a business checking account provided by banks. For instance, when a sole proprietor, a partnership, or a corporation conducts business, it does so by using a business checking account. As required by law, banks employ the Know Your Customer (KYC) protocols by requesting identification from new customers along with evidence of the business entity (assumed names registration, business license, or articles of incorporation). With an m-payment account, however, a small business owner can conduct business virtually under the radar. Instead of business deposits, the company can receive e-payments. Furthermore, instead of disbursing expenses through its business checking account, the company can make payments via m-payment. With no paper trail, the unbanked small business owner could easily evade income tax filing requirements, thus depriving the U.S. Treasury of billions of dollars in tax revenue. M-payment is revolutionary—mainly due to its convenience. This technology will literally change the way consumers pay for goods and services, the way they are compensated, the way they save money, the way they spend it, and the way they send money to family and friends abroad. This service will create new industries and new opportunities. M-payment is also radical because it may represent the final piece of the financial puzzle that moves our world into a cashless society. With the convenience that m-payment offers, however, comes the potential for criminal misuse. M-payment technology, if unchecked, can be exploited by money launderers and terrorists. Presently, the United States is ill prepared to handle the dark side of m-payment. As the INCSR acknowledged, “The United States has few safeguards against abuse of m-payments.” Moreover, the report also warns that the only applicable federal reporting requirement to providers of stored value cards is the Currency Transaction Report (CTR) rule. A CTR must be filed for all cash transactions greater than $10,000 per day. However, the CTR can be filed up to fifteen days after the transaction has occurred, giving terrorists and criminals enough time to disappear. Although almost all U.S. m-payment service providers are registered as Money Services Businesses (MSB) with the Financial Crimes Enforcement Network (FinCEN), the regulations do not have specific provisions pertaining to them. New legislation is needed to regulate m-payment service providers. Legislation can include requirements that service providers monitor accounts, enhance suspicious activity reporting, require maximum transaction limits (e.g, $1,000.00 per day), require the registration of pre-pay cell phones with m-payment, and development of new, m-payment specific software to detect suspicious activity. With m-payment projected to grow to 52 percent by the year 2011, there is ample time to put the necessary safeguards and regulations in place to combat the threat to anti-money laundering. H. Paul Leyva, J.D., is Certified Anti-Money Laundering Consultant (CAMC) and a student at Thomas Jefferson School of Law, Walter H. & Dorothy B. Diamond, Masters of Law (LL.M) International Tax Program. Per the request of the distributor, this article was published without footnotes or references. The original version of this report with all footnotes and references is available upon request. Reprinted with permission.